What makes a great company is their people, Pradeep Dhillon is one of those great employee. I've been coming here for a year or so, Pradeep has been the service adviser that I've dealt with. He bends over backwards to help me out and always go to the great length to make sure I am taking care of. Great representation on customer experience, thank you Pradeep. Just bought a 2019 Honda Insight from Mike Bushel at Winter Honda and had a very good experience. We connected with him via email, and he was the only one of many dealers we emailed with who gave us a straight answer about pricing and actually had the car we wanted. He was kind and straightforward and I think gave us a good price. He let us test drive the car on our own too, which was a welcome surprise. Our purchasing experience was good too. Neither Mike nor the finance person put undue pressure on us to buy things we didn't want (wheel locks, etc.). The process was well-organized and relatively quick. If We could give this dealership more than 5 stars we would!!! We came to winter Honda on 2/24/19 shopping for a van. We had many questions about this vehicle. Carmen helped us along with Kyle. They both were friendly, customer oriented and knowledgeable about their vehicles. Kyle stepped in during the sale and We must say Kyle is the man to go to if you're looking to buy a car with honest person and a good deal. He made the entire process go so smooth We were shocked and impressed. We originally went there to buy 1 van and ended up leaving with 2 vehicles because my daughter wanted a new vehicle. Kyle was able to professionally, efficiently handle the sales. We have never been to a car dealership to buy a car and it was as smooth as this one. We have had bad experiences at other dealerships and We're glad we choose to give winter Honda a try. We also have had a excellent service experience with this dealership for our older Honda's and I must say Pradeep is the go to man for the service department due to his knowledge and expertise. Sal the finance manager also was excellent and professional in handling the finance and warranties on both vehicles. We will be going back Friday for a 3rd car purchase with Kyle and Sal. We will definitely be coming back for future car purchases and referring friends. Thanks again Kyle, Sal and Pradeep for all your help. It is definitely a pleasure. 1 bad the rest good. We bought a new car from this dealership and with it comes an inspection report to ensure all the safety and all the cosmetic stuff works. Although it was checked off and signed as all good, in reality some things were not working. So the one bad thing about this dealership is, I just do not trust ANY of what was inspected to be true. I suspect the employee just checks off the form, and did not do any actual inspection work. Let's face it, that would be easier, less work, and he could play on his cell phone longer instead of checking out the safety of our cars. The upside for this dealership is the people assigned to fixing our new car (since a few things did not work) those staff persons were 100%. They explained what was wrong, kept us up to date with progress, and were helpful and polite. Our salesperson Michael Bushel was just awesome. He know the things to show us that mattered, we felt we got a fair deal, and he did all the little extras which just made for a great customer experience. For example he hooked up our cell phone to the radio, made sure the lic plates went on correct, etc. Nice guy, good attention to detail, IF you choose to go to THIS dealer I suggest you ask for him. (his office is to the left of the front door). I just purchased a new 2019 Honda Civic Si Coupe from Winter Honda in Pittsburgh, California driving past two other dealerships that are closer to my home where I have purchased at least 8 other Hondas in my lifetime. I did this because of the following reasons: 1) The speed of a reply in establishing a price that I was willing to pay for the car AND the speed and clarity of details for which Michael Bushel (the salesman) was offering the car for sale (very much appreciated); 2) The fact that I was going to buy the car within 48 hours and he offered to get any Honda for me in a dealer exchange if what they had in stock did not satisfy my needs and wants (very thoughtful); 3) Pointed out certain unique benefits that he could offer me such as the LoJack theft recovery identification system (I have had wheel locks before but never a GPS locator for police); 4) Superior post-purchase customer service where he personally assured me that all of the accessories/services that I wanted and negotiated for had arrived at the Parts department at the agreed upon discounted prices (full gas tank, side impact resistant strips, weather resistant floor and trunk mats, spare tire kit); 5) Making 100% sure on at least 6 phone calls and 3 emails that I was satisfied with my new purchase. Quite frankly I had called another salesman at a competing Honda dealership that I had purchased another Honda from expecting him to be happy to rapidly assist me in getting the 2019 Civic Si coupe but this was not the case. Michael Bushel is a VERY personal and hard-working Honda Sales Manager that I will definitely contact for my next Honda purchase. Oh and I should point out that the Honda Civic Si coupe is flat-out the best driving Honda I have ever purchased! The best you can expect and then some! Mike was phenomenal. We were quite uncertain after suffering a total loss on our vehicle and we had very specific needs and wants (high mpg, comfortable cabin space, fluffy add ons, etc.). We were there several hours, just like we were at Lexus and Toyota dealerships last year and the year before. Been a hairy situation with my husband's work car(s) . Back to fantastic Mike. He was working with Julian (mdh) for a week via email to discuss the aforementioned. Mike knew exactly what would work and honored our requirements regarding cost even. I was floored frankly. And let's not forget Sal, the "FINANCE GUY"! He worked with the great deal we got from Mike and arranged our extended comprehensive fully loaded warranty and helped make the deal even prettier (is prettier even a word?! Haha!) How about thrilling, slendid and impressive? I've been happy with the other guys at Toyota and Lexus but I was never impressed. With Mike I can say we were more than impressed. We are grateful for his diligent work on our behalf. I can truly say we'll be glad to return for our vehicle needs in the future. 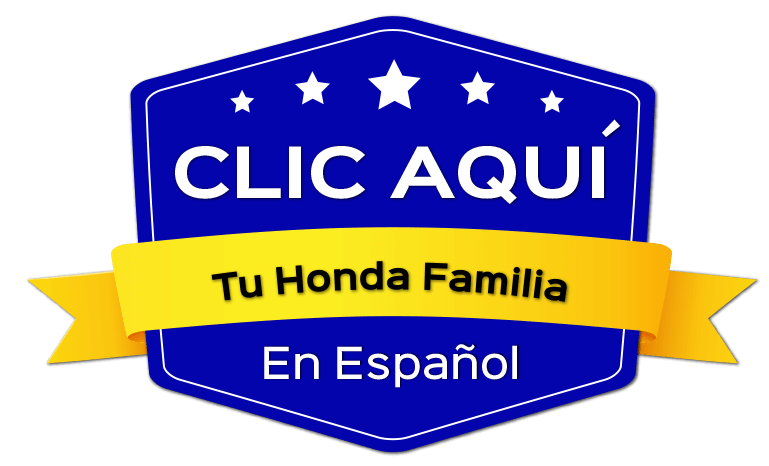 I recently purchased a Honda civic from Winter Honda/Chevrolet and the process could not have been any easier or more pleasant. Carmen and Zhora were helping me with the purchase and could not have been more helpful. They handled everything and were able to walk me through the process of all the paperwork. If you are looking for a Honda or Chevy I would come here and ask for them. They made the process very smooth. Just bought a HRV from internet sales manager, Matthew Curren, I have nothing but wonderful things to say about him. He cares for his customer and yet maintains his professionalism throughout my purchasing experience. He gets my. The team here is AMAZING!! Carmen and I took selfies while laughing and talking fashion. Mike and I shared BMW terror stories (we're both previous owners) and shared cookies. All this while making the car buying experience less frightening. Though I did not get a vehicle from Honda, the team was phenomenal. Mike was very thorough and had my best interest at heart. Once we determined I couldn't purchase from Honda, Mike personally walked me over to the Chevy dealership and got me placed in a brand new Chevy Cruze. And, Mike didn't stop there he stayed an hour past his shift to ensure I was in good hands. I am truly impressed by the level of service he extended. Thank you Honda team!